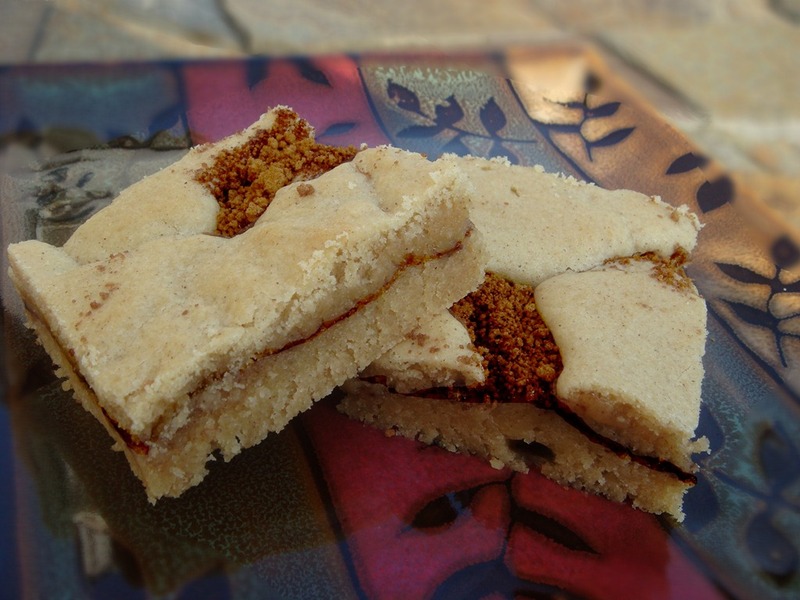 A delicious cinnamon layered bar with the tang of snickerdoodles in an easy to prepare bar cookie. Combine the flour, cinnamon, nutmeg, baking powder, cream of tartar and salt in a large bowl; set aside. Cream butter, sugar and brown sugar using a mixer. Beat in eggs and vanilla. With the mixer on low, slowly add the dry ingredients. Continue to mix until just combined. Spray a 9×13 inch pan with cooking spray. Spoon half of the batter into the pan and spread evenly. Mix the cinnamon filling ingredients in a small bowl. Sprinkle evenly over the batter. Using a spoon, dollop the remaining batter across the cinnamon filling; do not cover the cinnamon mixture completely. Bake for 20–25 minutes or until lightly golden brown and toothpick inserted in center comes out clean. Wow! I love this! Snickerdoodles that I won’t have to bake a batch at a time. Thanks Kelly!